As you reach the final chapter, your knowledge of cryptocurrencies should be far greater than when you started. You should now have access to the tools to trade cryptocurrencies and have a much better idea on how to analyse them. But cryptocurrencies still are an extremely risky asset. During the euphoria of 2017, there were countless stories of individuals loading up on debt to purchase cryptocurrencies and even going as far as to remortgage their house. You should never expose yourself to cryptocurrencies for more than you can afford to lose. In this chapter, we are going to discuss how you can determine what the right amount of cryptocurrencies is for you. We will provide frameworks for how cryptocurrencies can fit into your overall portfolio. How Much Cryptocurrencies Should You Have in Your Portfolio? When determining how much cryptocurrencies to hold in your portfolio, there are several factors that need to be considered. Any of these factors alone should not determine how much to allocate to cryptocurrencies but all together, they should give a better idea as to how much to allocate. The investment decisions of someone who is fresh out of college are going to be entirely different than the investment decisions of someone who is approaching retirement. If you are going to need to access capital within two years, allocating a large proportion of capital to higher risk investments is likely to be a poor decision. With the nature of higher risk investments meaning that they can undergo volatile price swings, an investor who needs to access capital in the near-term may be forced to sell the asset at unattractive prices. On the other side, somebody who is looking to hold their assets for twenty years will be little impacted by the wild price swings of higher risk assets. Risk tolerance is one of the most important factors to take into consideration. Individuals who are risk-averse will have little to no investment in higher risk assets. If fluctuations in the value of the portfolio are resulting in the investor not being able to sleep at night or getting anxiety, the number of high-risk investments in the portfolio needs to be taken down. More risk-averse investors will be more suitable for investments which provide a strong protection to the capital invested. There are tests which can measure risk tolerance online. There will be some indication from your own behaviours as to your risk tolerance. If you find yourself not being able to sleep at night because of your portfolio, it is a sign that your portfolio is too risky for your level of tolerance. Protecting capital becomes increasingly important as net worth grow. When net worth is low, income streams are more important to wealth. This enables investors to afford to make some riskier decisions with their capital. If the investment decisions go well, there is the chance that the capital could grow significantly and the strategies can be reconsidered. If the small amount of capital is lost, it is likely able to be regenerated from savings from the income stream. On the other side, losses of a high net worth portfolio are catastrophic. Losses work exponentially against investors and if the portfolio is the main source of wealth and income, strong considerations need to be taken to protect the capital. 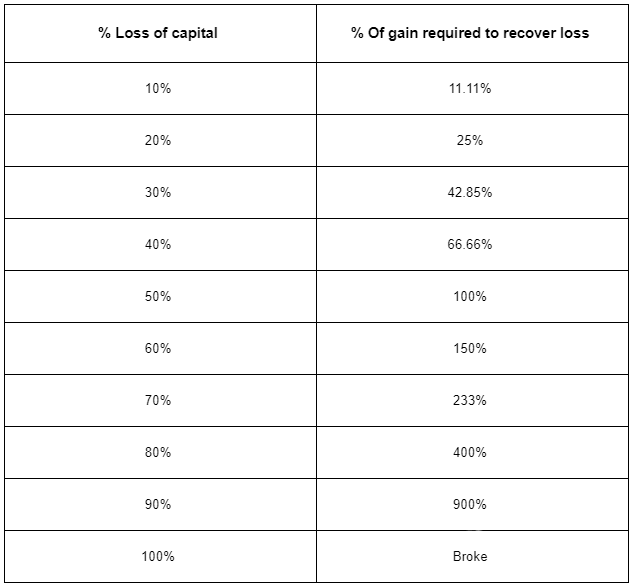 The table below shows the percentage an investment would have to recover to get back to the baseline after a loss. It’s important for investors to understand what income streams they have and the importance of these income streams. The majority of individuals have one income stream which is their job. Investing all of your net worth if you are dependent on one income stream can be risky. If this income stream was suddenly cut off, the assets in the portfolio may need to be sold at unattractive prices for income. It also runs the risk of both losing the income stream and losing the investment. If investing on a regular basis, analysing expenses can give an indication of how much to invest. By knowing how much needs to go to living and other expenses, you will have an approximate estimate of how much is going to be left over to invest. How do Cryptocurrencies Slot into Your Overall Portfolio? The five factors will give a general idea on whether you should be having more or less higher risk assets such as cryptocurrencies in your portfolio. Once you have taken these into consideration, you need to consider how cryptocurrencies are going to operate with your overall portfolio. There are a number of broader frameworks that you can consider for how to structure your overall portfolio. None is completely correct and all have their advantages and drawbacks. We will cover three portfolio theories here that you can consider when putting your portfolio together. The most popular and well-known theory for constructing a portfolio is modern portfolio theory. The theory originated in 1952 from a paper published by Nobel prize winner Harry Markowitz in the Journal of Finance. Central to the theory is risk and reward. Modern portfolio theory considers the risk and reward of individual investments in the context of the entire portfolio as opposed to assessing it alone. The goal of modern portfolio theory is to maximise the return of a portfolio while minimizing the possible risk in an attempt to construct an optimal portfolio. How does it achieve this? The idea is that investors can achieve this by diversifying their portfolio. By adding uncorrelated instruments into the portfolio, investors can achieve the benefits of diversification. The benefits of diversification reduce the risk of the overall portfolio while having little impact on the expected return. Diversification can involve adding several different instruments from different asset classes into the portfolio. The idea can be illustrated by the efficient frontier where different collections of investments represent a different return (y-axis) and risk (x-axis) tradeoff. 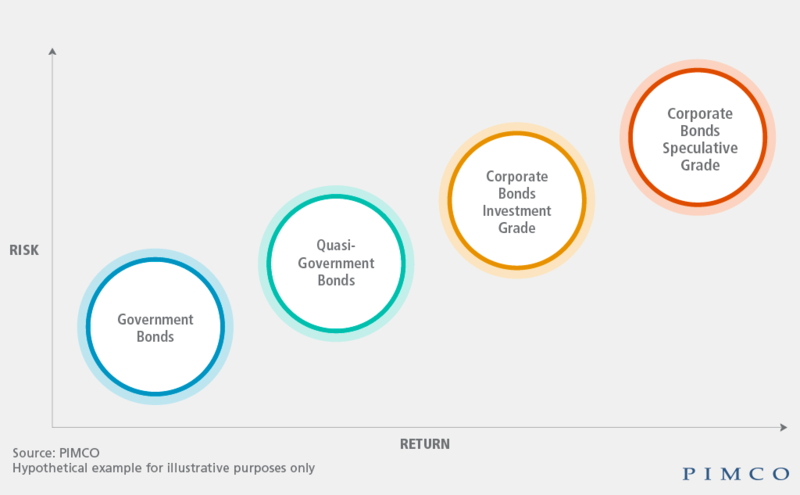 The goal with diversification is to achieve an optimal portfolio along the efficient frontier in the graph below where the maximum reward is achieved for a given level of risk. Cryptocurrencies are considered a high-risk investment class. Even if there is huge potential for appreciation, the industry is still developing and many projects are bound to fail. There is also the business risks associated with the industry such as exchanges being hacked. Events such as these have huge impacts on investor confidence and can result in large withdrawals of capital from cryptocurrencies. There are many ways to go about diversification. The portfolio can be diversified to include different percentages of asset classes that represent different risk levels. Each of these asset classes can be further diversified into itself. An investor may choose to allocate 10% of their portfolio to high-risk investments in cryptocurrencies. They may further diversify this asset class between Bitcoin, high-cap altcoins, and low-cap altcoins. The below pie charts represents some simple splits between equities and cryptocurrencies. The equities portion could be further split with a basket of stocks representing the equities half of the chart. Once you have chosen your percentages in which to split your portfolio, these percentages are going to change. Imagine you have decided to split your portfolio equally between equities and cryptocurrencies. If equities go up 10% and cryptocurrencies go down 20%, the value of your portfolio is not going to be any longer evenly split. But you can’t go and change around your investments so that they are always evenly split. For this reason, you need to choose a rebalancing period. Typically, investors will rebalance their portfolio about once a month. Excessive rebalancing would result in paying high commission fees which are going to eat any returns in the portfolio. How is Risk Measured in Modern Portfolio Theory? How risk is measured in modern portfolio theory is an important point to note. The standard deviation of returns is used as a proxy for risk. Some would not consider this as risk. If we go back to the five factors, an investor with a long-time horizon may care little if their investment fluctuates from year to year as they are planning on holding the investment for ten years or more. The allocation approach takes a different method to tackle risk. The rebalancing is important in modern portfolio theory to manage the risk and return of the portfolio. But there is also a downside to the rebalancing. Rebalancing winners can severely hinder returns. With cryptocurrencies as a whole being an emerging asset class, as the market develops, there will likely prove to be a few big winners with many losers. It is the nonlinear nature of maturing markets. 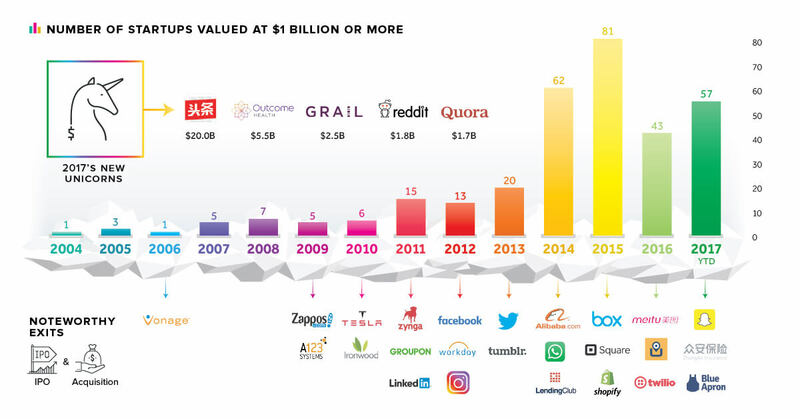 The pre-IPO stage distribution of returns of technology unicorns (startups with greater than $1 Billion valuations) illustrates the point. 46% of total valuation goes to just the top ten with the rest being spread out over the next 70. This means that rebalancing your winners could easily be reducing your exposure to the big winners and increasing your exposure to the eventual losers. You could be selling your Amazon shares to buy Pets.com shares. The allocation approach proposes a different model whereby the investor determines how much they want to be exposed to a certain cryptocurrency. The investor could apply a general diversified portfolio but determine that they want to be exposed to at least 1 Bitcoin, 10 Monero, and 100 Litecoin. The investor keeps these allocations regardless of whether their shares of portfolio percentage becomes outsized. They also potentially increase the allocations over time depending on how circumstances develop. Another portfolio approach which seeks to benefit from the nonlinear nature of markets is the barbell strategy. The barbell strategy was popularized by author Nassim Nicholas Taleb who has done significant work on the nonlinear nature of the world. The barbell strategy splits the portfolio between low-risk investments such as treasury bonds and high-risk investments such as cryptocurrencies. The idea behind the barbell strategy is the portfolio is exposed to the high potential returns of the high-risk asset class while the majority of the capital is strongly protected with the low-risk asset class. The typical split is about 85 to 90% in the low-risk assets and 10 to 15% in the higher risk category. However, these splits will vary based on the five factors at the start of this chapter. Of the three above frameworks, diversification in the modern portfolio theory is the most widely known and used. These frameworks should greatly assist in how to manage the risk-reward trade-offs of your broader portfolio. No portfolio theory is the correct answer. Everybody is going to have an approach which is most suited for their own needs. What about the more specific details of your portfolio? Is there a certain trade that you are unsure of how to manage? How much of your capital should you expose to a certain idea? In this section, we are going to cover more specific details on how to manage your risk day-to-day and how to protect your capital while exposing yourself to the possibility of your investments increasing in value. Let’s say you have analysed your situation and you want to increase your exposure to Bitcoin. You have some steady income every month and you have some savings stored away. You believe an asset like Bitcoin will be a good investment for your portfolio. Let’s say you have €5,000 you are prepared to invest in Bitcoin with. How do you handle this? Do you throw it in all at once? Do you put in over the space of a period of time? As with many investment decisions, there are tradeoffs to be made. If you put in the €5,000 all at once at the start of 2017, it would have appreciated to over €70,000 by the end of the year. However, the same investment made at the start of 2018 would have lost over 60% of its value in October 2018. Analysis can be used to help identify good times to buy but this can be difficult at times. Another technique which can be used is dollar-cost averaging. Dollar cost averaging exposes an investor to an instrument over a prolonged period of time. The investor gradually exposes themselves to the investment by investing the capital in small segments at fixed intervals. This can help the investor manage the tradeoff between risk and reward. The example of the investor looking to invest €5,000 in Bitcoin could split the capital into ten segments of €500 and invest it monthly. The investor would then be assured that they will not invest all of the capital at price highs. They will also miss out on investing all of their capital at price lows. Dollar-cost averaging is recommended by a lot of investment professional to those who are getting started in the market. As you get more advanced with analysis, you will start to be able to identify when prices are more attractive and when to put more or less capital in. The portfolio theories above deal with capital allocated for long to medium-term investment. But traders also make more speculative trades where they identify an opportunity and look to capitalise upon it. This can range from anything from an ICO which holds potential to a chart pattern which looks like it is going to result in a huge price movement. Many consider speculation distinctly separate from investing and much more like gambling. But many make their professional living as speculators. Intraday traders monitor price movements in the market all day to capitalise on high probability trading setups. Poker players speculate on limited amounts of information to win over the long-run. Professional sports bettors put their capital at risk when the odds offered are attractive compared to the probability of the actual event. But it can also be easy to get carried away with speculation. For that reason, it is best to just use a fraction of capital when making speculation trades and also to know what has to happen for you to exit your trade. The one and three rule has been mentioned in earlier chapters in this book but deserves a mention again. The hedge fund manager Paul Tudor Jones stated in his interview with Jack Schwager in the Market Wizards book that he would never risk any more than 1% of his total equity on any one trade or any more than 3% on any collection of trades. This would be a good starting point for managing speculation risk until becoming more advanced with risk management. The advice to only risk a small fraction is common among traders. Many only risk around 2% of their capital on each trade. It is highly uncommon to hear of anyone risking above 5%. Stop losses are trades that exit losing positions. Stop losses can be used to make sure that your speculative trades do not result in large losses. When caught in the midst of the markets, it can be easy to convince yourself that a trade is going to turn around and show a profit. That’s why it is good practice to always set a stop loss before you enter a trade so that you are committed to exiting at a certain point regardless of what happens. Setting stop losses can be more of an art than a science. Executed incorrectly and a bad stop loss can be the reason a trade didn’t work out as anticipated. The market could quickly reverse the way you initially anticipated and you have recorded a loss instead of the gain which actually ended up playing out. However, if executed correctly, a stop loss can serve to cut losing trades quickly. Firstly, you want to set the stop loss at an area which proves your idea wrong. Let’s say you have done some technical analysis and you identify a pattern on the chart which you believe is bullish. If you enter a position, a good area for a stop loss in this situation would be the place where the chart pattern breaks down. If you set the stop loss too tightly, the trade may be exited before the pattern has a chance to play out. However, if you set it too loosely, the price may end up swinging far in the wrong direction before you eventually exit. You need to try and find the sweet spot in between. One strategy you can use is to have both a fixed stop loss and a dynamic stop loss. A fixed stop loss is set some distance from your entry point. The fixed stop loss could be 10% away from the entry price. A dynamic stop loss is something which moves. 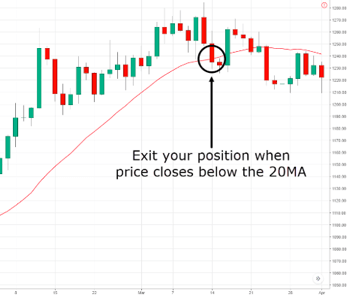 The typical dynamic stop loss is moving averages. When trading shorter-term trades, shorter-term moving averages such as the 20 MA is used. For medium and longer term trades, moving averages such 50, 100, and 200 are better suited. Using a combination of fixed stop loss and dynamic stop loss helps traders to capitalise on big movements but also to cut their losses if the trade is not going as planned. Cryptocurrencies is still a very new asset class. It is easy to get carried away with the hype but the prudent investor will think longer-term and expose himself to long-term returns while doing the utmost to protect the capital of their portfolio. As you go forward with cryptocurrencies, take the frameworks you have learned in this book as your foundation and add to it as you go along. There are resources in this book that you will find useful but as you venture further, you will find more resources to suit your needs. You have now completed the book. The final exercises apply the lessons learned in this chapter. Determine how much of your overall portfolio you are willing to allocate to cryptocurrencies. Congratulations! You have successfully read and completed all the 7 chapters. For more information, you can check out our guides. Additionally, you can go through our exchange platform reviews and wallet services reviews.